Are you going to quit or not? 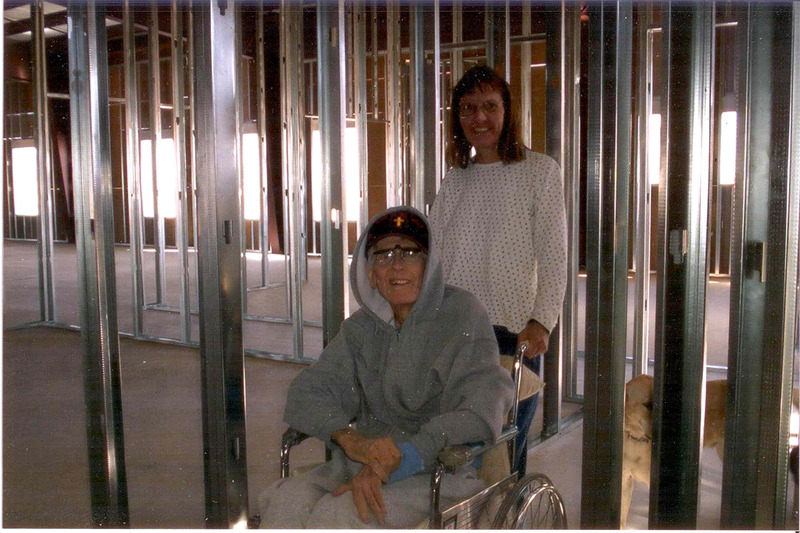 Mary Ann pushing Fr Rick Thomas in a wheelchair during his last illness. “No, we aren’t going to quit,” we told him. “We will keep praying here for you” (even though we were pretty tired). So we kept on going. Those words have stuck with me through the years since his death 10 years ago. I keep them written on the mirror in my room and in my heart. Why? Well because we live in culture that too often quits when the going gets tough. This past Sunday the priest at the Mass I was at spoke about how Mother Teresa left her family and her homeland to live out her call to serve the poorest of the poor and even start a new order in obedience to Christ. She persevered through numerous trials, even when she herself was going through a spiritual dark night. She remained committed to her vow and calling with joy. She didn’t quit, and today we have St. Mother Teresa of Calcutta, another spiritual hero. We also have the “Missionaries of Charity” who carry on the work she began with the poorest of the poor all over the world today. When you are tempted to quit, call out to God with all your heart, and tell Him you really need Him to help you right now. Get help from a spiritual director who will speak truth to you. Trials are the times we grow. We need those times to get purified and strong. They are the precious part of the spiritual journey, when we bravely learn to pick up our cross, die to ourselves and follow in the footsteps of Jesus. Not only that; let us exult, too, in our hardships, understanding that hardship develops perseverance, and perseverance develops a tested character, something that gives us hope, and a hope which will not let us down, because the love of God has been poured into our hearts by the Holy Spirit which has been given to us. God Bless you Mary Ann, your family and all who endeavor to persevere in God’s name. I continue to view things through the spiritual lens Fr. Rick taught me and it has been interesting. Write me if you are inclined. Thank you Mary Ann for your encouragement. Loved reading your article MaryAnn! I miss you! Fr. Thomas taught us so many amazing lessons that I use today. Glad you enjoyed the article. We keep on keeping on. Enjoy those grandkids.